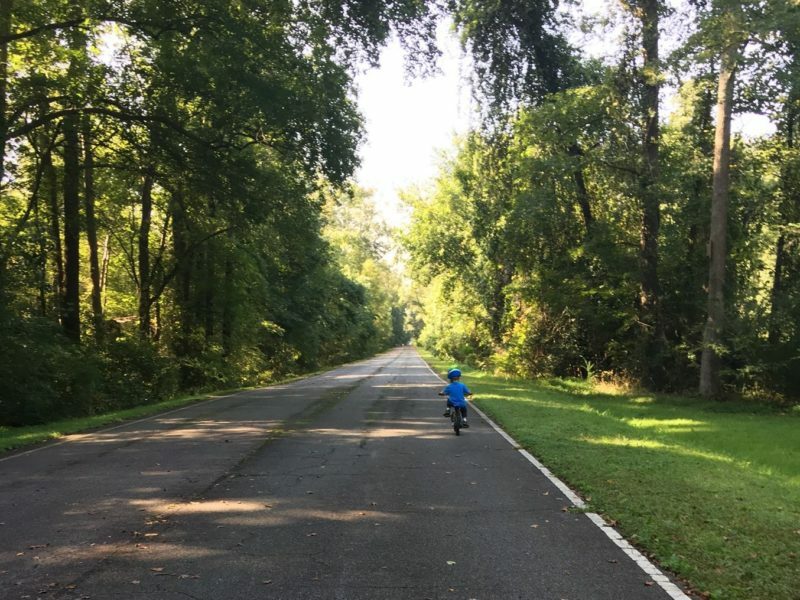 The Dismal Swamp Canal Trail is made from the former Route 17 in Chesapeake and runs parallel to the canal. Because it is an old road, the trail is fully paved, straight and smooth. It is popular with bikers and good for any and all wheels. The trail runs for over 8 miles; choose how far you want to go for an out-and-back hike or bike ride. Wear lots of bug spray if you are visiting in the summer! 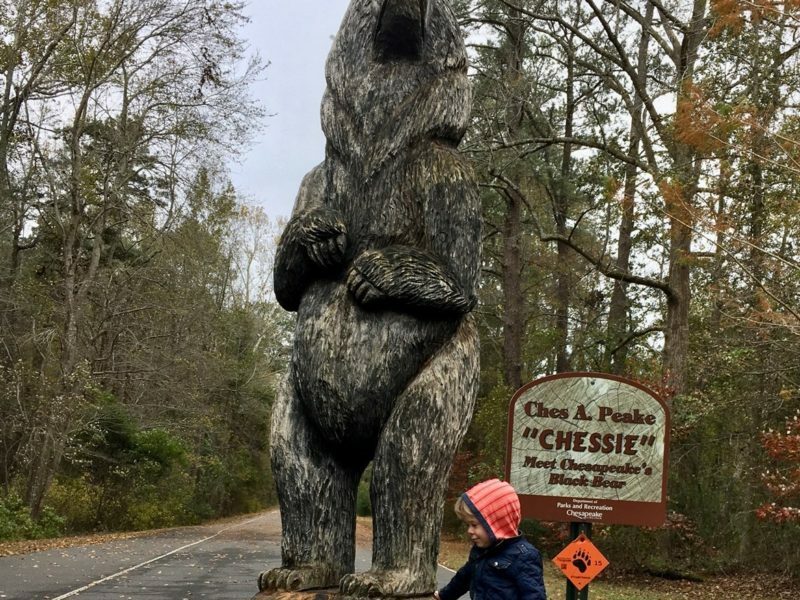 Kids will like the big bear statue at the trailhead and seeing boats travel down the canal.